I am really excited about the wonderful comments, and calls I got from people who read the 1st part of this article. It was really overwhelming. It’s good to know that it was a blessing to several people. In case you are reading this, and you have not read the 1st part, I strongly encourage you to do that right now. In part 1, I shared a very important concept – that man is essentially a spirit that constantly goes through physical experiences. Most people think that the reverse is the case – that they are physical beings, that sometimes goes through spiritual experiences. Nothing can be farther from the truth! We live in two worlds, and it is very possible to enjoy one to the detriment of the other. That’s not the way the creator designed it. He designed that we will enjoy the best of both worlds! When I first became born again, I was very much heavenly conscious. The consciousness of heaven was so much that I didn’t want to be bothered by any earthly thing. How can I think of marriage/ plan for kids when Jesus would be coming soon? To think of a distant future then was to think of the mundane and become carnal. How could I think about (not to talk of plan for) the next 20 years when souls were perishing? I still remember a couple of friends who were not as moderate as me. They really went far with preparation for heaven. They were so heavenly conscious that they became earthly useless! I like to refer to them as the 12’ O Clock believers. Both the long and the short arm are facing upwards. There are some other believers that are 6.30 O’clock believers. Both hands are facing downwards. They are so earthly conscious that they become irrelevant to heaven. All they live for are the pleasure of this world – what we will eat and drink and what we will wear. Both hands are facing downwards. I think both extremes are not okay. It will make sense to be a 6 0’clock believer, with the longer arm facing upwards (heaven) and the shorter arm facing downwards (earth). In order words, one is very heavenly conscious and still useful on earth. It’s another way of saying that one enjoys the best of both worlds! Halleluyah! Some believers get so practical they become carnal; others become so spiritual they can’t relate to anyone, or even keep a job. Everyone lives life as an outflow of his spirit. Your daily life is a reflection of your spirit. Jesus, our Lord and master showed this severally while he was here on earth. He lived life every day, constantly in touch with heaven, while being a blessing here on earth. He deployed his Spirit in a way that heaven was always with him. Nothing took him by surprise. While attending a wedding ceremony, he provided more wine for the guest present. While teaching people about the parables of the kingdom, he provided food for them. He was such a blessing here on earth, while staying in touch with heaven. In other words, he brought heaven down! Jesus was as practical as he was spiritual. He operated in both realms, and believers ought to do the same. Some believers get so practical they become carnal; others become so spiritual they can’t relate to anyone, or even keep a job! One of the greatest aberrations today amongst Christians is the thought or notion that their spiritual life is quite different and separate from their “other” lives. They only get “into the Spirit” when they are in church/fellowship, praying or reading the Bible. They deny themselves the opportunity of enjoy the best of both worlds. Listen. Your academics are not separate from your spiritual life. Your marital life is not separate from your spiritual life. Your career is very much part of your spiritual life! Infact, I can tell you what will happen in your “other lives” if your spiritual life is suffering. Because you live life as an outflow of your spirit, they will also start to suffer. How then do you bring heaven down? How do you command the supernatural in your life on a daily basis? How do you deplore your spirit to experience God in all aspects of your life? How do you command the manifest presence of God on a daily basis? 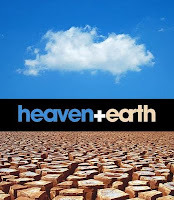 How do you make sure you enjoy the best of heaven on earth on a continuous basis? An atmosphere of worship is an atmosphere for the miraculous. When you surround yourself with an atmosphere of worship, then you bring heaven down. In 2 Chronicles 20, there is a wonderful story there on how worship can bring heaven down. The children of Ammon, Moab and Mount Seir were going to invade Israel. The King of Israel, Jehoshaphat, cried up to heaven for direction on what to do. The instruction from the prophet was somewhat funny. Raise a choir! Let people sing and worship! Can you imagine how easy is it to sing when you are faced with double barrel guns and AK riffles? I bet it wasn’t an easy task. However, as they worshipped, heaven came down! The Lord set ambush against the children of Ammon, Moab and Mount Seir. They faced themselves and destroyed one another. Without raising a sword, shooting an arrow or a gun, the children of Israel won the battle. Faith brings the spiritual to the physical. It makes you live a life beyond limits! The whole world was framed by faith, though the word of God. Everything on earth will still be framed/reframed by faith through the word of God. When you live a life of faith, you will witness the miraculous on a constant basis. Elisha was once such man that lived a great life of faith. Impossibility didn’t exist in his dictionary. No wonder, at every point in his life, and even in his death, he commanded the supernatural. Without faith, you cannot enjoy the best of both worlds. One of the easiest ways to command the supernatural is compassion. Whenever love and compassion are in play, heaven comes to bear. Jesus easily enjoyed the best of heaven here on earth, because he was always moved with love and compassion. When he had compassion on 5000 men who had been following him without eating for a while, heaven stood at attention. 12 loaves and few fishes could feed all of them. That’s not natural. That is heaven coming to earth. The provision was provoked because of love and compassion. When you are moved by love and compassion, you will also provoke the supernatural. You will always enjoy heaven here on earth! Without holiness, no man shall see God, says the scriptures. Many people think that the Bible here is only talking about seeing God in heaven. Far from it. Without holiness, you will not see God move on your behalf even here on earth! God will never stand at attention on your behalf if you live a life of sin. Sin is a sinker. It is your purity that determines your authority. When a man pleases God, God places all the resources of heaven at his disposal. Do you want to bring heaven down on your behalf? Then, live straight! Live pure. You will not enjoy the best of both worlds by having one leg each in both! When you are sold out to God, then he delivers everything in his Kingdom to your hands. What a glorious opportunity. It is 12 noon on a Saturday afternoon. I am sitting somewhere in the Executive Lounge of the Ataturk International Airport in Istanbul, waiting to catch my flight back home. I always miss home whenever I travel, especially the wonderful angels under my roof! It’s been a week since I last saw them, and can’t wait to hold them in my arms again. Only this flight stands between us. Lol! So, I have spent the last one week in Istanbul, Turkey. It’s a beautiful city I must say. At least, they have a government that is working, and the rate of development is really very fast. Apart from the difficulty with people not being able to speak English, and the heavy traffic (much worse than the Lagos traffic), it’s been a great time. I attended a Supply Chain College and it was really very engaging and insightful. Most importantly, I networked with 33 other people from all parts of the globe. It didn’t take long before I realized however, that Istanbul is divided into 2 parts. It’s like having 2 different cities, with different features and lifestyles, in 1. There is the Asian side as well as the European side. You can cross over from one part to the other within an hour or two, depending on the traffic. As you do that, you will marvel at the difference that exists between both sides of the capital. It is so distinct that you won’t believe you are in the same city. The Asian side is still very much underdeveloped, more serene and things are relatively cheap there. All these changes in about 1 hour! The European side is very busy, has very high traffic like any other busy city (both human and vehicles) and things are somewhat expensive there. At Taksim Square (the most popular area of the European side), I saw a crowd that I probably have never seen in my life before. It was amazing! It is often said that “you cannot eat your cake and have it”. It is either you eat your cake (in which case you do not have it) or have your cake (in which case you do not eat it). While I agree with the logic of the statement, I do not believe in its literal meaning. I believe strongly that one thing does not have to suffer at the expense of the other. You do not have to lose out on your health because you are pursuing wealth. You can have both. You can lead a wonderful family life while still excelling in your career. You do not have to sacrifice one for the other. In other word, you can enjoy the best of 2 worlds. You can be a Christian, very heavenly focused, and still enjoy the best of this world, without being part of it. Man is a spirit. We are spiritual beings that constantly go through physical experiences. We live in 2 worlds! Recall that man is primarily a spirit, in the very likeness of God. Many people forget this very important fact. They think that they are physical beings who sometimes go through spiritual experiences. These experiences make them feel “high”. This is a very wrong concept. Man is a spirit. We are spiritual beings that constantly go through physical experiences. We live in 2 worlds! It is very possible to enjoy one of these worlds to the detriment of the other. I have seen very spiritual people who are not doing well here on earth. They are behind on their dreams and their goals. Though they enjoy the best of the spirit world, they are not maximizing their presence here on earth. I am sure you know, or have read about, very successful business men who are “empty” in their spirit. I know highly intelligent and smart people, who you wish only knew God. They are ahead on their careers and are high flyers. These 2 extremes are aberrations. That’s not how the creator designed it. He designed both worlds to be enjoyed in a complementary manner. Literally, you can have the best of both world! You do not have to suffer here on earth to make heaven. Yes, you don’t! Infact, when Jesus came, he told his listeners “Now, is the Kingdom of God come unto you”. Literally, what he was saying is this – You don’t have to wait to get to heaven. I am bringing heaven to you here on earth! Wonderful! You can be as healthy as possible here on earth. You can be as successful as possible. Literally, what he was saying is this – You don’t have to wait to get to heaven. I am bringing heaven to you here on earth! Wonderful! Not only are both worlds active, they are mutually dependent. Can you imagine that? Whatever we do in the realm of the physical, affects heaven. Yes, it does. Let me give you an example. God’s word says “There is joy in heaven over a sinner that repents…” When we preach to a sinner here on earth, and he comes to God, a party begins in heaven. Isn’t it interesting that you can cause heaven to rejoice? Let me give you yet another example. God’s word says “Whatever you bind on earth shall be bound ion heaven”. You see- whatever we do on earth affects heaven, and vice versa. Shouldn’t you be more conscious of what you then do in the realm of the physical, seeing that it affects the realm of the spirit? Don’t you think your wrong choices and decisions affects heaven in a way? I bet they do. Now, having got the understanding that both worlds are dependent on each other, how do you enjoy the best of both worlds? How do you bring heaven to bear on your behalf here on earth. How do you start enjoying heaven while still on earth? You will have to let me continue this some other time though. 1st call for my flight is just a few minutes away, and i will need to post this before i close my laptop. Till some other time, start enjoying the best of both worlds!